I love the idea of peppermint bark, chocolate and peppermint, what isn't to love? But it usually ends up being a little too much. To thick or too sweet or too something. Crystal from A Pumpkin and A Princess solves this problem with a pretzel. Instead of traditional peppermint bark, she makes peppermint bark pretzels. A little crunch and some salt should make it just about perfect. 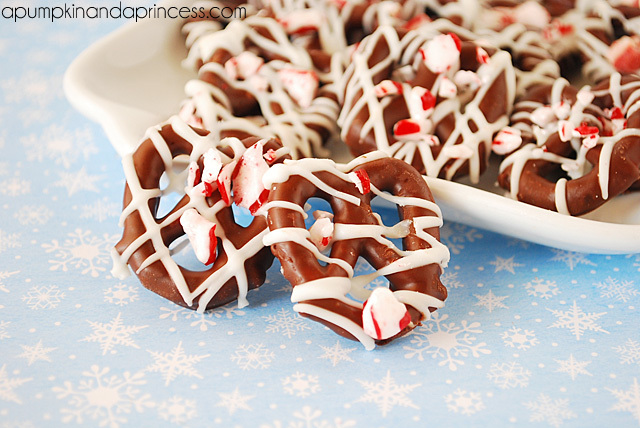 You can check out the peppermint bark pretzel recipe that she shares over at Ucreate.